Disclosure: This stay to Minneapolis was hosted, but all thoughts and opinions are my own. Each December, I love to take a vacation! During the first week of December, attractions tend to be less crowded, flights cheaper, and you get to see a new city decorated for the holidays (my favorite time of year). This year, I wanted to go somewhere with my family that we had never been before, and we decided on Minneapolis, Minnesota. How did we end up picking Minneapolis? Well, we love winter weather on vacations (since it’s so different from our Los Angeles weather), we love shopping (Minneapolis is a shopaholic’s dream), we are major foodies (I’ve always heard that Minneapolis has great cuisine, and is health conscious), and there are many family attractions. When you’re in a new area, it can sometimes be a hassle to rent a car and bring a car seat, and try to navigate new neighborhoods. A big draw about Minneapolis was that they had great public transportation on the light rail and buses. We were easily able to get to and from the airport, Mall of America, and all the Twin City areas we wanted to explore. I got a MetroTransit Go-To Card, that we were able to get unlimited rides for 7 days for just $24 each (my two year old was free). Our hotel was just a block from a light rail station since it was in the heart of downtown. Staying at Embassy Suites Downtown Minneapolis ended up being the perfect stay, not only due to it being in the center of any attraction you would want to visit, but when it was too windy and cold to walk outside, we had a blast staying in our spacious hotel room and watching TV (there were a ton of channels) or enjoying the daily free cocktails from 5:30-7:30. There was also free made-to-order breakfast, with an eating area that overlooked the city. This gave us a great vacation experience, while saving us money on breakfasts. Since I’m a vegetarian and am health conscious, while travelling I often have a difficult time finding a restaurant that has plenty of delicious options for me. In the Twin Cities, we didn’t seem to have any issue! It was some of the best restaurant food I had ever enjoyed, and also with plenty of artisan cocktails. One of our favorites near downtown was Eat Street Social, where we had a delicious cheese board complete with arugula and quince. They also had a great Old Fashioned! Another favorite was Cedar + Stone Urban Table at Mall of America, where the brussel sprouts were so delicious my 2-year-old wanted to order another plate! And of course, all my readers know that I LOVE Starbucks, so I was happy to have a Starbucks directly across the street from my hotel to get a coffee and afternoon pick-me-up (there was even an enclosed sky bridge so you could walk to many places downtown without stepping outside). Within walking distance of Downtown Minneapolis was the North Loop, which was very urban and bustling, with many great shops! My daughter enjoyed getting to walk and play along the vast sidewalks, and pop in and out of the shops with us. Something that really stood out to me in Minneapolis was all the shops for foodies! It truly was a food lover’s paradise – everywhere we went we saw food-centric shops! A favorite was Cooks of Crocus Hill, which had gourmet condiments, salts, spices, and cooking tools, pans, etc. I was able to get a nice new knife set during a sale they were having! We also came across spice shops, shops that had cooking classes, and gourmet ingredient grocers. All of my favorite type of shopping to do! Some other nearby favorite shopping areas was Grand Ave. in St Paul, which had many boutiques, independent shops, bakeries, and nearby streets lined with late 19th century houses, including a house that F. Scott Fitzgerald resided. At the end of walking along Grand/Summit Avenues, you can come across St. Paul Cathedral. And of course, what trip to the Twin Cities would be complete without a visit to the world famous Mall of America? It definitely lived up to the hype! We spent 10 hours there and still didn’t see everything! There are countless shops for every age, as well as dining and experiences (including the theme park Nickelodeon Universe, mini golfing, etc). Aside from popping in and out of shops and eating delicious food, we had a blast walking around town with our daughter. The beautiful architecture and nature made it delightful to get outdoors with our daughter and explore. Minneapolis is a unique combination of nature (being surrounded by lakes) and urban living, one unique to any other city I’ve ever experienced. There was also a massive multi-story library right by our hotel, that was a great oasis in cold weather. While we were there during the holidays, we visited one of Minneapolis’ Christmas markets: Holidazzle. Holidazzle had food, local artisan shops, carolers, and lots of fun activities for kids (slides, mazes). The Twin Cities are full of delightful Christmas markets, which really have a cozy feel full of community and heart. It was definitely a plus to visiting in winter! Nearby in Bloomington at Mall of America (we took a direct light rail from our downtown hotel to Mall of America) we were able to go to Nickelodeon Universe, where you can find rides for young children, as well as roller coasters for thrill seekers. While there, we also took my daughter to the American Girl Store and cafe, and the Crayola Experience, where she could make her own custom crayon, play in their epic playground, and make endless works of art. Another highlight was seeing How the Grinch Stole Christmas at Children’s Theatre Company. My almost-3-year-old was so enthralled she was able to sit through the whole production (she’s normally pretty antsy)! The production’s talent, set, costumes…were all very superb! Minneapolis’ Children’s Theatre Company plays children’s productions year round, so you can catch a show any time of year. We also ended up seeing Coco at an IMAX theatre, a perfect snowy day activity. Where I’m from, I don’t find too many IMAX theatres, but the Twin Cities seemed to have them in abundance, which was really cool! There was so much more we wanted to see, that we will definitely be visiting again for another family vacation! 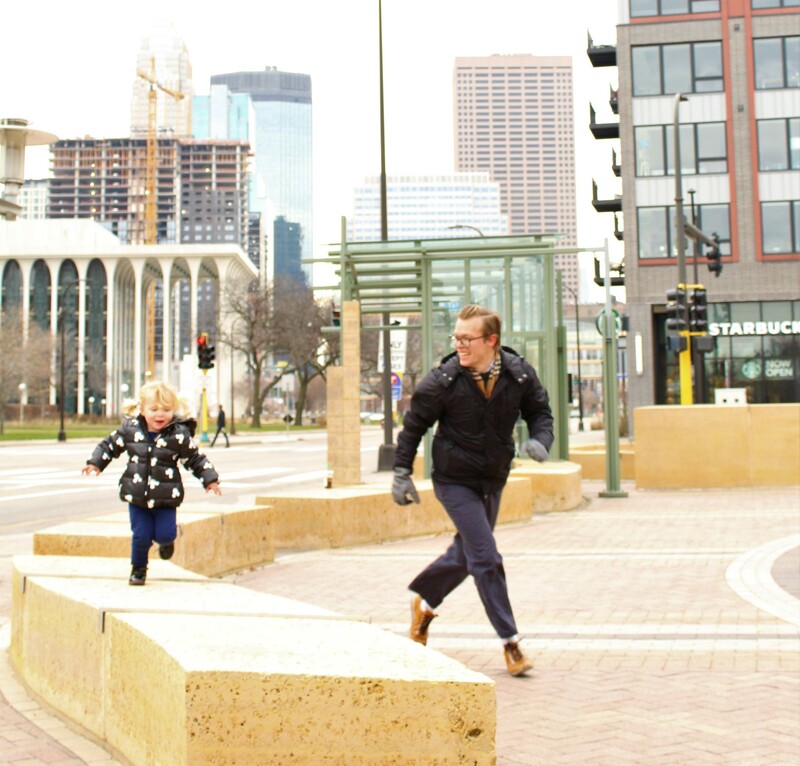 What would be your favorite things to do in Minneapolis? To get more information to help plan your trip to Minneapolis, MN you can visit their site here.